Over the past day, Russia-backed militants in Donbas 11 times opened fire on the positions of the Ukrainian army, including eight times in the Donetsk sector, and three times in the Mariupil sector. It was quiet In Lugansk region, ATO HQ said in a morning release on 2 September. 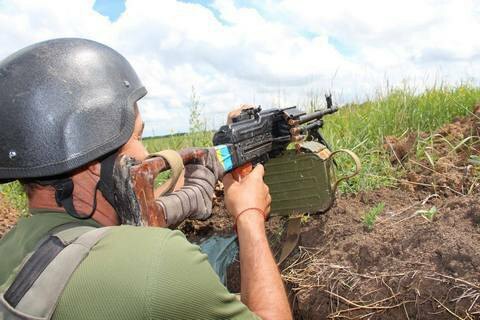 Despite the declared total ceasefire, firearm attacks continued in Troitske, Nevelske (mounted anti-tank grenade launchers), Avdiyivka (automatic mounted grenade launchers, heavy machine guns, small arms), Luhanske, Verhnyotoretske, Mariyinka and Hranitne (small arms). The Armed Forces of Ukraine observe the ceasefire, the release emphasized. On September 1, no attacks in Donbas were reported from midnight until at least noon. The lull is thanks to the beginning of the new school year.